On a blog like this one, that speaks about those things that define Barcelona, I have to mention the loss of one of our most famous citizens. Antoni Tàpies was always proud of Barcelona and Catalunya from his universality. 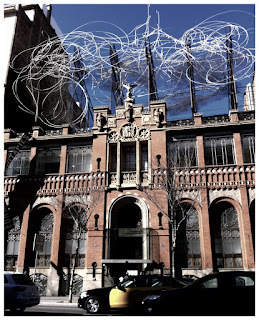 As I don't have a clue about art, I will leave that for experts and I will recall a landscape that the artist leaves us: the Tàpies Foundation, at Aragó street, an impressive building designed by the architect Domènech i Montaner and topped by the sculpture "Cloud and Chair". Inside the building there is a reduced version of the controversial sock that was supposed to be exposed at the Museu Nacional d'Art de Catalunya. 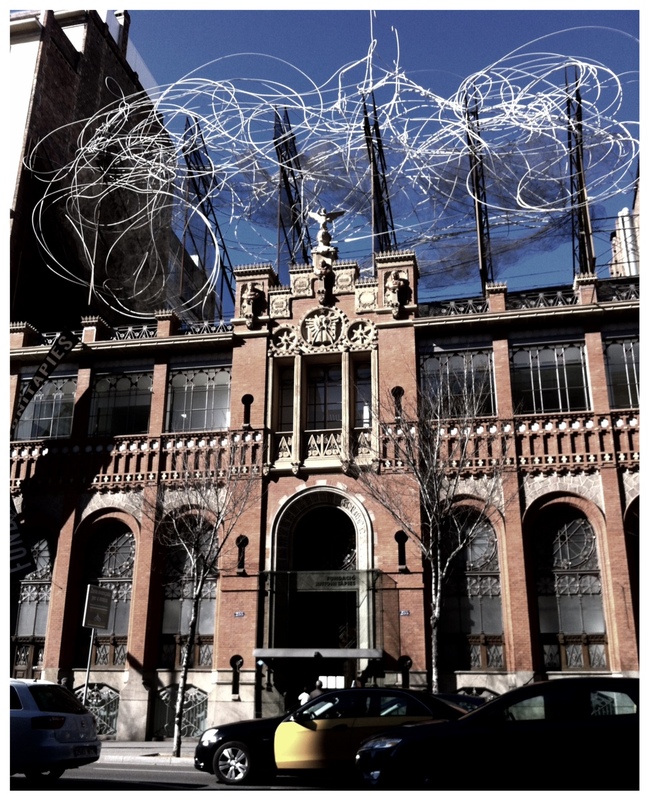 Beyond aesthetic controversies, the building of the Tàpies Foundation is already an icon of the landscape of Barcelona. Rest in peace Antoni Tàpies. 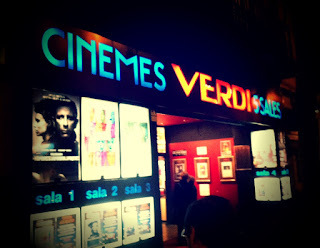 I was surprised to hear that a classic of Barcelona's night is back: (sessions golfes) at Verdi cinemas. And the reason I was surprised was because it seems difficult to find good news as these nowadays. Seven years after canceling the late-night shows due to the fall in the number of spectators, these sessions are taken up again. And by the way, with a good price: € 5.50! I remember having been there several times, although I admit that I usually fall asleep when I go to the cinema too late, especially with a fully belly after dinner at some restaurant in Gràcia. I remember a French musical movie French called On connate la chanson, which I found good enough as to keep me awake! 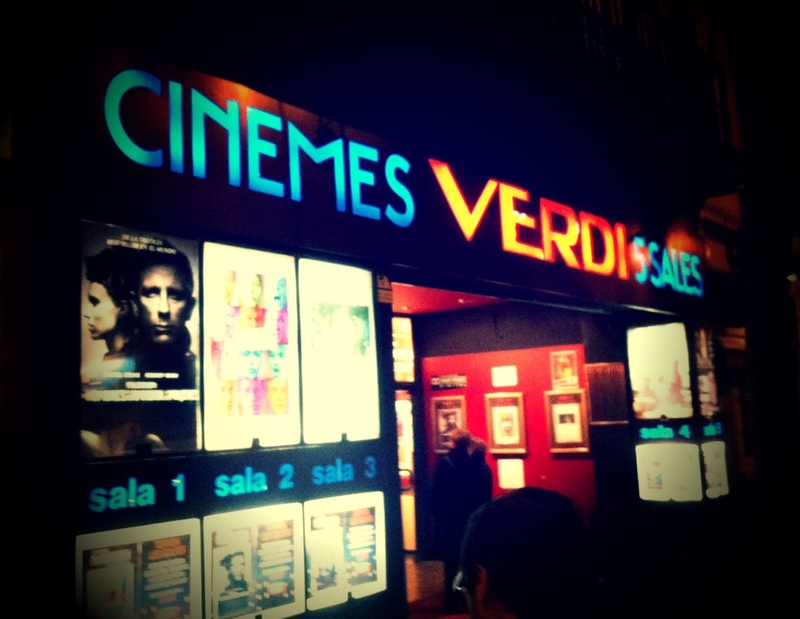 Luckily, another tradition from Barcelona that does not go away: the late-night sessions of Verdi cinemas! First, a couple of curiosities about traffic lights: there are about 34,000 traffic lights in Barcelona; the first one was installed at the intersection of Balmes and Provença among criticism about if it was necessary and many people had the opinion that those lights would have no future in the city. 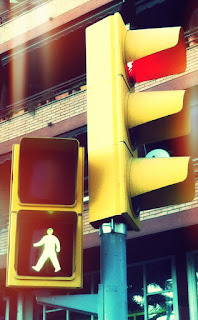 I remember that some years ago there was a controversy in La Vanguardia about the time that the traffic lights remained green for pedestrians. Most people's opinion was that the time for pedestrians to cross was actually too short, especially on wide streets as Aragon or the Diagonal. I remember that the Council promised then to improve traffic light timing and I haven't heard about the subject in quite a long time. I am not sure if now pedestrians have more time to cross, but what I know for sure is that it is virtually impossible to cross the streets after the green light starts to flash. I am an average, healthy, non-disabled "young adult". I wouldn't like to figure out what it must be for an elder person or someone using crutches, for example! I have done a little checking myself and it could be said that you'd better start running if the little green man starts to blink while you are crossing the street. In the corner of Sicília and Aragó, for example, you have less than 6 seconds to cross 7 lanes. 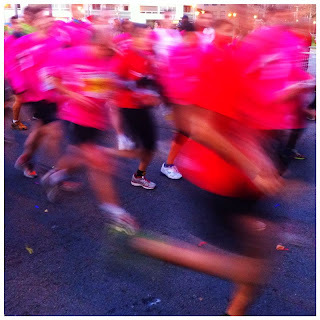 And in most streets of the Eixample flashing time is about 3 seconds! That is a bit too tight! Is that perhaps to encourage sport among the citizens? I'm sure we all agree that the tree that we most associate with the streets of Barcelona is the planetree (also known as London planetree :) ). In fact, more than a third of the approximately 150,000 trees that grow on the streets of the city are platrees. The reason is that they are quite bright and colorful, grow fast, adapt easily to various conditions and provide shade during the hot summer months. It should also be noted, however, that not everybody loves planetrees. Many people suffer from pollen allergies during spring, and autumn leaves always fill the sidewalks. Some people even say that those leaves are slippery and dangerous. Also, many of these trees are sick and have pests. Who knows, maybe. Therefore, and in order to counteract the historic dominance of planetrees in Barcelona, the city tries to replace them with other species that are considered best for the city, such as Mediterranean hackberries and cherry plums, especially on those streets with narrow sidewalks. Planetrees rapid growth and the freedom they need to grow up happy can not be found in many streets, so they have to be pruned, and in a quite severe way. That brings us to a landscape that is also typical of Barcelona, as shown in the image: a street full of banana trunks. It doesn't matter how pruned they are, the trees always find the way t recover. I do not know you, but I like the planetrees. La Cursa del Nassos (literally, The Race of the Noses) is also a tradition of the streets of Barcelona. Actually, the tradition is going out to the streets and looking for the Man of the Noses, the man who has as many noses as days are in the year, and who can only be seen in Barcelona on 31 December. But running through the streets of Barcelona with more than 10,000 other runners is a great way to say goodbye to the current year. I have not done it, but I've seen the race go by and encouraged the runners. And still another tradition of this day: the good intentions for the new year. Mine is to run the Race of the Noses 2012! Happy New Year everyone! And do not worry, there is a play in the theater in Barcelona that wisely says: next year will be better!